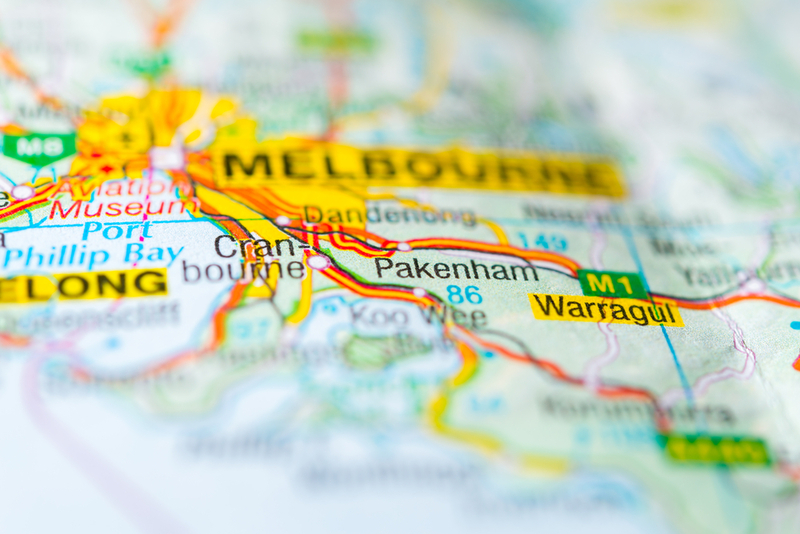 Metal Men Recycling is proud to operate from the Melbourne suburb of Pakenham, which has been an important industrial hub for the region since the 19th century. This week, we celebrate that history with a few interesting facts. Pakenham was originally an estate first taken up in 1839 but once the inn sprung up in 1848 and the post office in 1859, it became a service centre for the surrounding farms, particularly the orchards in the Toomuc Valley and Pakenham Upper. In 1877, the railway opened and became an important part of the east link connecting Melbourne and other eastern towns. The nearby town of Tynong was the place where the distinctive silver grey granite for Melbourne’s Shrine of Remembrance was quarried after World War I. Tynong granite is known to be exceptionally hard but can be split straight, making it perfect for use in a monument. The quarry created a lot of jobs in the area, so much so that a small boarding house in Tynong was established. The Raleigh Preserve company opened a factory in Pakenham in 1951 which specialised in shelling and canning Koo Wee Rup peas. In the late 1950s, the factory was bought out by Crosse and Blackwell, which then began producing pickles and stuffed olives. Nestle acquired the company in 1960 and built an additional baby food factory in Pakenham in 1962. In the 1980s Nestle built a frozen food factory in Pakenham and eventually added the Lean Cuisine production line in the factory in 1985. In 2009, the Gippsland Food Company was created and the factories were bought by Simplot Australia. This long industrial history helped create hundreds of jobs and helped many families settle in the area after World War II. The factories still play an important role in Pakenham today, employing 230 staff and producing soups, sauces, and pasta as well as frozen and chilled meals. In 2007, Packenham locals began to complain of a recurring smell described variously as a ‘burning chemical smell, ‘the stench of dead bodies’ or a putrid smell that was able to infiltrate homes’. Transpacific Industries, an organic waste recycler was found to be the source of the smell and the company has since ceased to operate in the area. Metal Men Recycling offer premium metal recycling services in Pakenham including offering cash for scrap. To learn more about our capabilities, please don’t hesitate to get in touch with us by calling 03 5941 6677.